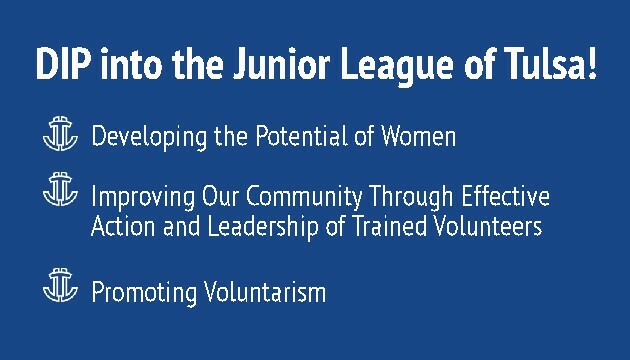 Have you ever had difficulty describing the purpose of Junior League of Tulsa, Inc. (JLT) to an acquaintance? One of the strategic goals of the Marketing Committee this year is to increase JLT’s brand recognition within the community. 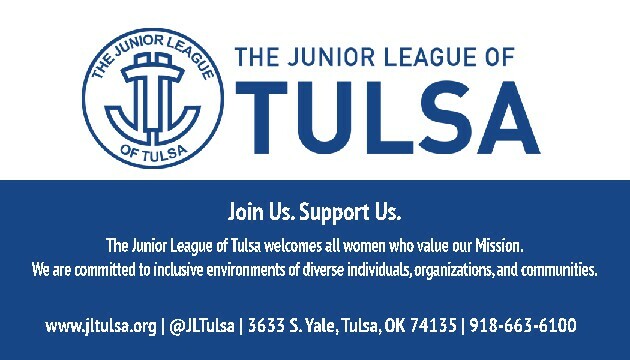 Based on informal feedback from League members, the Marketing Committee found that Members felt they were not prepared to explain what JLT is or what it does in the Tulsa community to those unfamiliar with the League. After discussion at a recent Communications Council meeting, the Marketing Committee decided to reintroduce the DIP card, which was originally created in 2006. The DIP cards are conveniently about the size of business cards and share JLT’s mission and goals. The DI P cards provide an easy way for Members to remember JLT’s mission and easily share it: Developing the potential of women, Improving our communities through the effective action of trained volunteers, and Promoting voluntarism. The new cards have been ordered and will be available for League members soon!